Alimony generally refers to money that one spouse must pay to the other spouse following divorce. Alimony may also be referred to as spousal support. 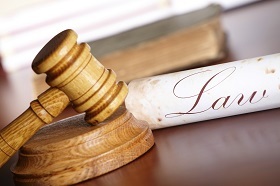 Alimony is not awarded automatically, and the arguments to collect can be complicated. For this reason, if you believe you are entitled to alimony, you will want to talk to a Lowell alimony attorney. Length of Marriage. The longer you are married, the more alimony you stand to collect. While length of marriage alone will not guarantee you will collect support, a Lowell alimony attorney can explain to you that a longer marriage may equate to a larger award. Income and Earning Capacity. A judge will consider both spouses’ ability to make a living post-divorce in awarding any alimony. If there is no economic need for support, a Lowell alimony lawyer can explain that support may not be awarded even if otherwise justified. Age and Health. If a spouse is older and suffering from a health condition, that spouse has a better claim for support. Contributions to the Marriage. Often, one spouse will sacrifice his or her career to benefit the other spouse. A Lowell alimony attorney can explain that this is often the case for stay-at-home parents. In these situations, the sacrificing spouse may be entitled to a large award. These are just some considerations that a family law judge may consider. You will want to talk to an attorney to learn more about your specific case. If you are going through a divorce, you should talk to a Lowell alimony lawyer to learn your rights to collect spousal support. The arguments to collect alimony are very fact-specific and you will want an experienced attorney on your side. Contact a Lowell alimony attorney to advocate for you by contacting the Law Office of Bruce A. Gage. You can reach Mr. Gage by calling 978-364-3003 or dialing toll free at 877-829-0831.